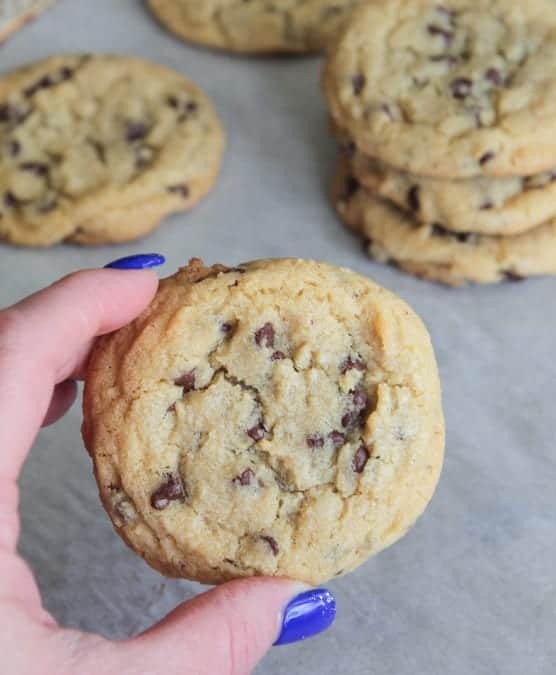 Sharing my Perfect Chocolate Chip Pudding Cookies with you today! Perfect texture every time, say goodbye to flat or too puffy cookies! 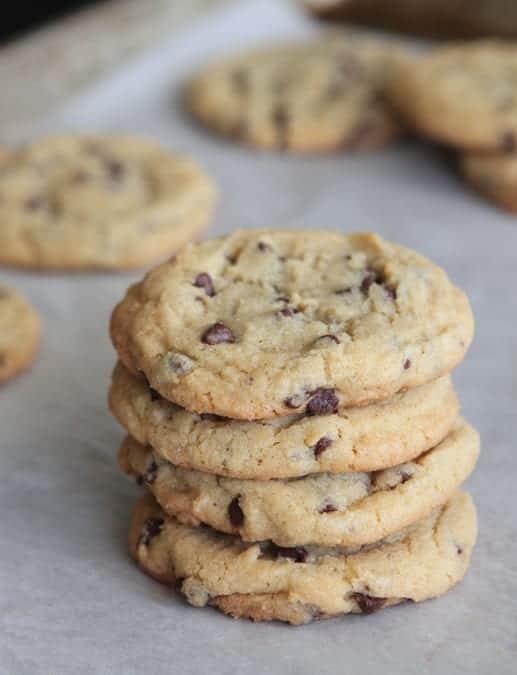 It’s no secret I am obsessed with baking cookies…practically on a daily basis, ha! 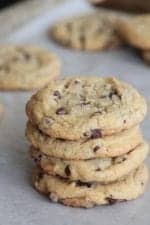 Had to share my favorite recipe for a classic chocolate chip cookie. Buttery edges with soft chewy centers. Can’t beat these. I also made my first official video!! Added it to my You Tube channel which is pretty much non-existent but gotta start sometime right? I’ve been dragging my feet for a couple years and finally put my big girl pants on and learned something new. Video! Hope you enjoy, I’ll be incorporating more video with my recipes, should be a fun new challenge for me. Hope you’ll enjoy them! I could stare at these all day. Perfection my friends. Try them for yourself. Preheat oven to 350 degres F. and line cookie sheet with parchment paper. Place softened butter into a large mixing bowl and cream sugars until well combined. Add egg and vanilla mixing until well combined. Slowly add flour, pudding mix, salt and baking soda mixing slightly. Add chips and mix until combined. 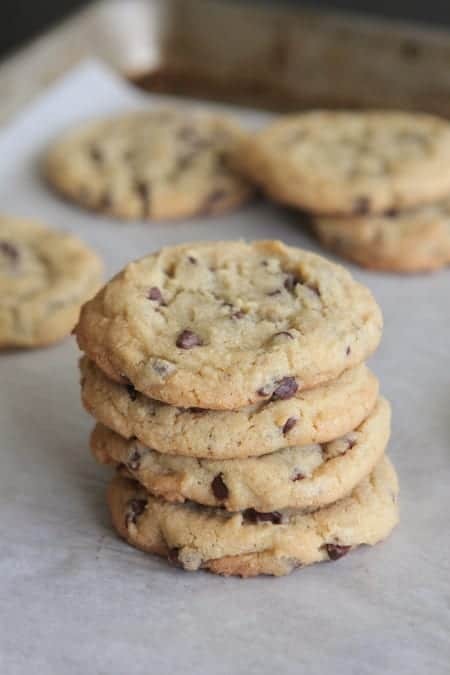 With a medium cookie scoop, scoop dough onto baking sheet placing one inch apart from each other. Bake for 12-15 minutes until baked through. Remove and let cool. Serve room temperature. So interesting to use pudding mix! Have you tried chocolate pudding mix? So excited to try it! These look great! When the snow has cleared I’m going to the store. Could you please tell me where you get your your instant vanilla pudding powder? Is it from a box of the pudding, or can it be found in bulk? Hi Cheryl, it’s found in the baking isle, usually right by the cake mixes. It is from a box, not sure if you can get it in bulk unless you check on Amazon. I can vouch that adding instant pudding mix to cookie dough makes them extra special. Perfect every time. Your photo looks beautiful! 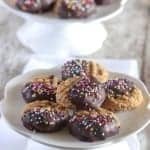 These cookies do look perfect! I can’t wait to try them! Thanks for sharing the recipe! I’ll take at least a dozen of these cookies! Yum! 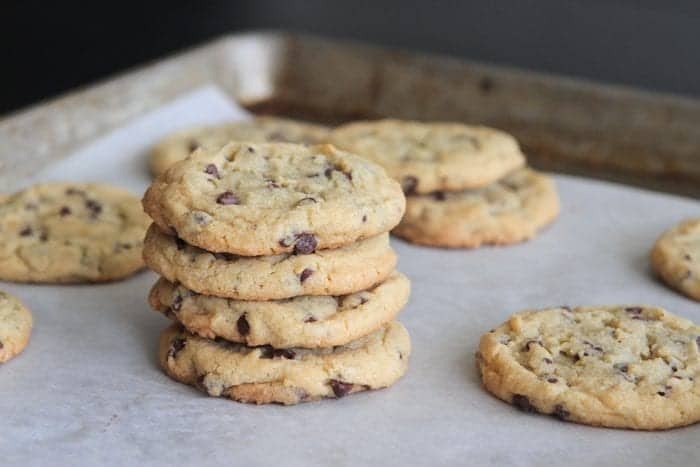 I’m always up for perfect chocolate chip cookies like this! Love the sound of pudding in CCC’s! These totally remind me of my childhood! I’m from Canada and we don’t have sticks of butter, so what is the measurement, 1/2 -3/4 or 1 cup. Thanks, plan on giving these a try. If making the original full recipe, would I use the entire box of pudding mix? TIA! Anyone about question about full recipe/pudding? These look fabulous!!! I was wondering if you used regular chocolate chips or mini. In the picture/video the chips look small. Thanks for a wonderful recipe. Hi! I just came to say that I tried your recipe yesterday and it was marvelous. The recipe turned out to be really easy to make and they tasted delicious. Thank you so much! Waiting to see your answer to #17 before I make a double batch! Hi. How come you didn’t use the entire box of pudding mix? Thank you. 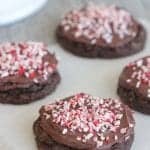 Made these cookies and subbed chocolate pudding and cut 1/4 cp flour and replaced with cocoa…I used a combination of milk and white chocolate….so yummy!! !